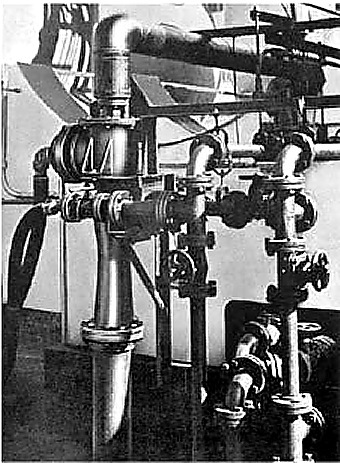 Little Maintenance Needed On Jet-Venturi Scrubbers; New Solutions Of Plant Problems: Two plants -Tenneco Chemicals, Reading, Pennsylvania and Hoffmann-La Roche, Nutley, New Jersey – are preventing the escape of HCl fumes from their plants by the use of jetventuri wet scrubbers and separators. 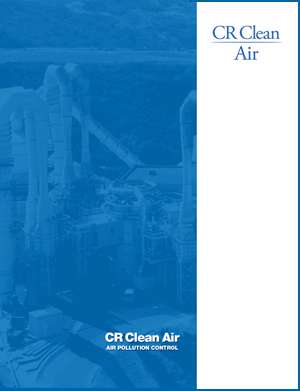 Fiberglass-reinforced polyester construction of scrubber units is major factor that has allowed the equipment to operate with little maintenance for a year longer in both plants. Tenneco uses 32% HCl in the process of making azo dyes. The acid is stored in a 12,000- gal tank which supplies several 400-gal measuring tanks. Corrosive fumes are generated at main 1tank during refilling from tank trucks or during pumping to smaller vessels. Problem was overcome with installation of standard, packaged jet-venturi fume scrubber and separator. Fumes from tnain storage tank are continuously circulated to scrubber system. 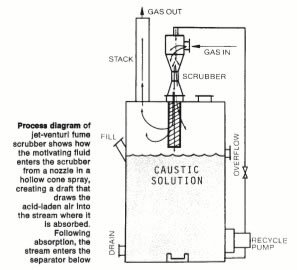 Caustic solution enters the scrubber from a nozzle in the shape of a hollow cone spray, creating a draft that draws the acid-laden air into the moving stream where it is absorbed. 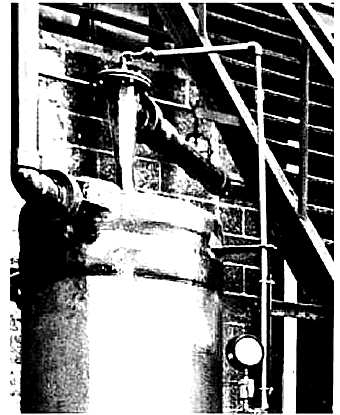 Following absorption, the stream enters a separator chamber below the scrubber which separates the gas from the liquid. The liquid then passes to a caustic storage tank which is continually recycled to the scrubber. Periodically, the spent caustic solution is sent to the waste disposal system where the neutral sodium chloride presents no problem. Hoffmann-La Roche purchases HCl in bulk, a portion of which is transferred to drums or portable tanks. The small containers are filled under fume hoods. Exhaust from the fume hoods goes to the jet-venturi scrubber. The acid fumes are dissolved in water, the resulting weak acid solution being neutralized with lime.